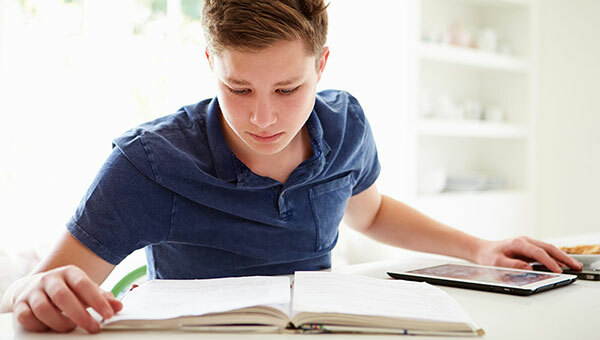 Generally younger kids won’t do homework in their rooms or a private study area. They want to be close at hand to ask questions and feel supported and usually end up at the kitchen bench or dining table. However, as they get older and study time turns into a fair chunk of the afternoon, they need a quiet space to concentrate. It’s always best to provide a table and discourage working on their bed, both for ergonomic and productivity reasons. Optimal desk height is 720mm. A pinboard is also a nice touch. If your teen is creative they can put up images to keep them inspired. Alternatively it can be used for notes and prompters and a calendar for assignment due dates. People are using many options for a study area including the kid’s room, under stairs, converting cupboards and nooks off hallways. It’s about finding a space where they’ll have minimal disruptions but where you can pop in and check on them regularly (except when they’re doing algebra – then run for your life!). Are new year’s resolutions a good idea?